Sunday was spent at the beach =). 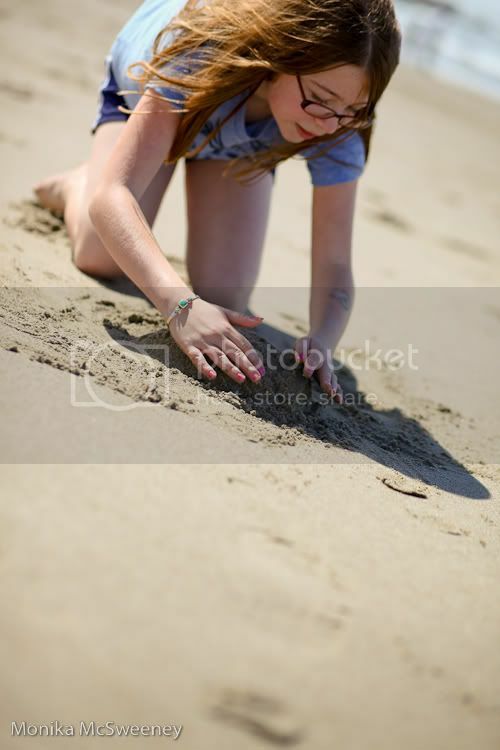 Here's my older daughter, Erina, shaping a turtle out of sand. She was in her own little world and didn't seem to notice that I was taking pictures. Kids in their own world make the best photos. This is such a great shot. I love the candidness of it, and the beautiful lighting! Great perspective as well!